Rio Ferdinand admitted Manchester United were fortunate to be awarded the last gasp penalty that gave them a victory in a dramatic Champions League last-16 tie against Paris Saint-Germain. Presnel Kimpembe was adjudged to have handled the ball after a VAR review in Paris, with Marcus Rashford holding his nerve to fire an injury-hit United side into the next round amid euphoric scenes. United legend Ferdinand told Indpendent.ie ahead of the second leg in Paris that he didn't believe Ole Gunnar Solskjaer's side could mount a comeback after losing the first leg 2-0, but he was in jubilant mood in his role as a BT Sport pundit. "I didn't have the confidence in these boys to do it, 10 boys out, I didn't see this result coming the way PSG played in the first leg," declared Ferdinand. "Ole Gunnar Solskjaer was brave with his team selection, he had three teenagers on the pitch, the character of these players after the starvation of moments like this. The confidence this will give them. "I don't think it's a penalty but turning your back, as a defender, you get punished for things like that, but they've got the result and it's amazing." Ferdinand reserved praise for United's lead striker Romelu Lukaku, who turned in a sparkling performance leading the United line in Paris. "People were doubting Lukaku - he's one of many who have been given a new lease of life by Ole," he said of his former team-mate Solskjaer. 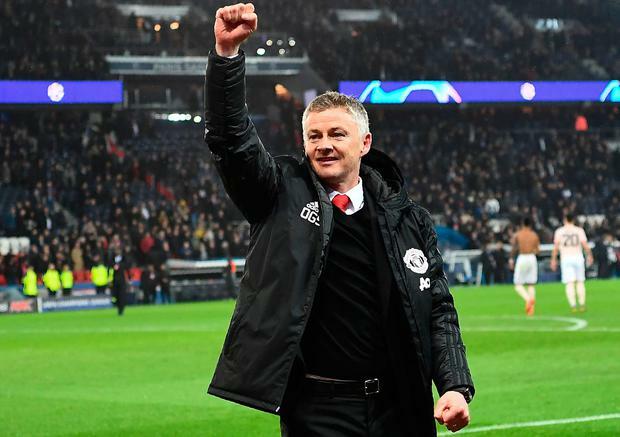 "Ole has brought belief back to this team and he has to get the job on a permanent basis now. "I said before this game that the result in Paris should not affect him getting the United job, but this result should end that debate now." Lukaku offered up his verdict on the game, as he was mobbed by Paul Pogba in his post-match interview. "It was good. We were confident before the game and we knew we could do the business," said the Belgian striker. "I wanted to play with Marcus up front and we enjoyed it. "We just keep going now. The competitiveness starts at the training ground and that is where this all starts. Now we look forward to the next round." Richard Dunne They can still win a treble this season, but Manchester City will be devastated by losing in the Champions League this week.